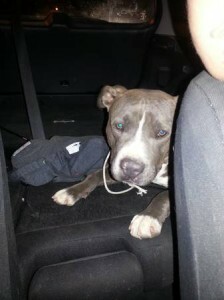 The other day, someone emailed me a picture of this pit bull found inside a trash dumpster with a rope around her neck. I wish I could say cases like this are uncommon. Sadly, though, we see acts of cruelty against animals all the time. It makes you wonder what kind of person would do something like this. But where there is bad, there is always much more good. Someone heard the dog — lets call her Bella– in the dumpster and came to the rescue. Bella is now being nursed back to health and hopefully will find a loving home. Now think about Bella, thrown in the trash dumpster to die, and consider this: 17,000 dogs and cats are rescued by the Arizona Humane Society every year. 17,000 abused or neglected animals — some found wandering the streets, others rescued from horrendous conditions. Many simply turned in by families who could no longer care for them. And this is why we rock the runway. 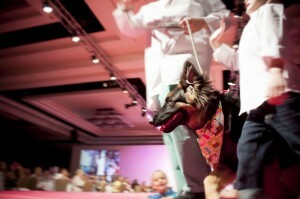 The Arizona Humane Society puts on an incredible fundraising event every year called Compassion with Fashion. 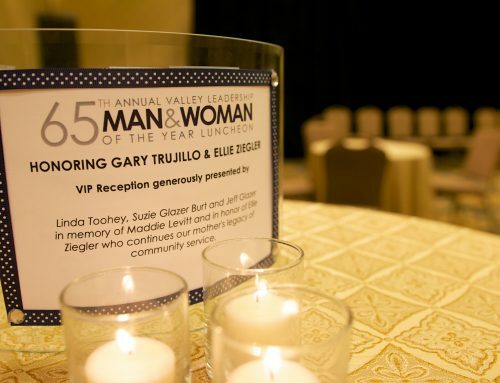 It’s been voted best charity event and it is easy to see why. The atmosphere is incredible. 1,000 pet lovers showed up on a beautiful, sunny Saturday at The Arizona Biltmore ready to raise money and have fun. Brandon Lee, our newest anchor and lover of dogs (he has three pit bulls that he rescued from the streets of LA), joined me onstage. The dogs in need of homes made their way down the runway accompanied by, in some cases, the wonderful, caring veterinarians and rescue workers from The Humane Society, in other cases, adorable little kids and gorgeous models. Each of these dogs has a story about how and why they ended up in a shelter. The stories are sad, to be sure. But the point of this event is to give these dogs a second chance. 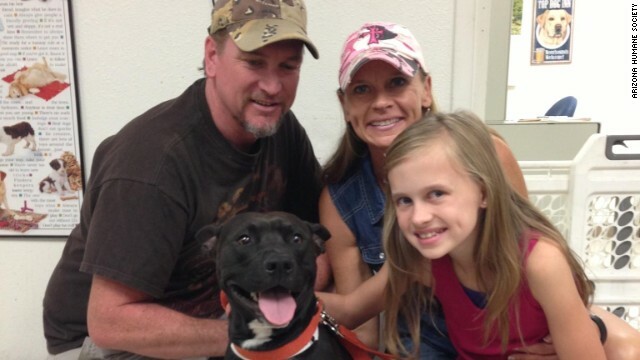 Like the second chance given to a 2-year-old pit bull left to die alone in the Arizona mountains. Andi Davis was hiking up the mountain when she spotted the dog with his head propped up against a rock. She had walked about a half mile up the trail in Phoenix when she found the dog, suffering from bullet wounds. 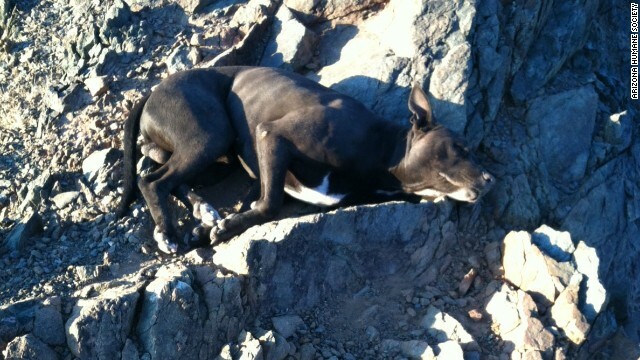 Someone shot this dog and left him on the mountain to die. Again, hard to imagine the person who would do something so cruel. Andi Davis, a slight but athletic woman, picked up the 47 pound dog and carried him down the mountain. It took her an hour to make it down, arms and legs shaking. Davis’ husband and 10-year-old daughter, Jessi met her at the bottom of the mountain and rushed the dog to the Humane Society. Doctors found an open abdominal wound, bullet fragments near his spinal cord and a bullet in the middle of his neck. The story made national news. But it didn’t end there. 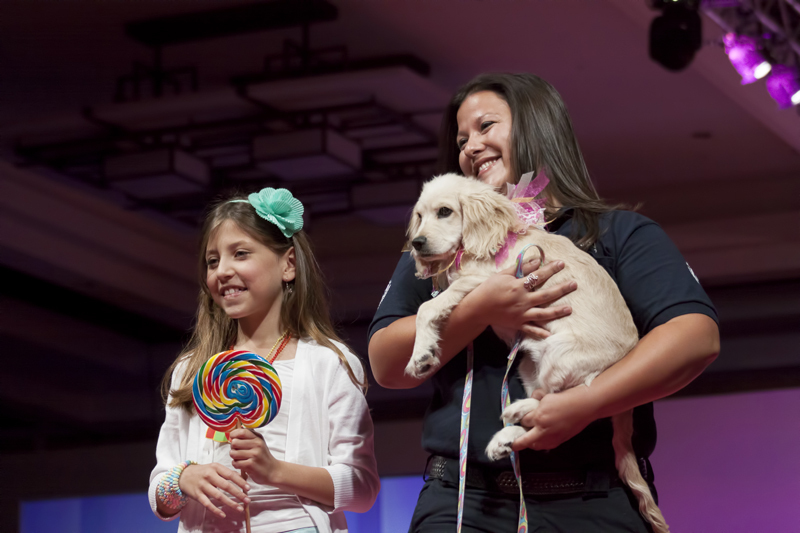 The family — especially 10-year-old Jessi — fell in love with the dog. They adopted him and named him Elijah. 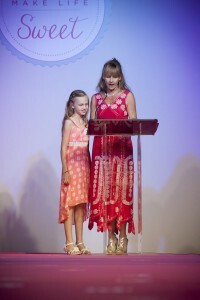 Andi and Jessi told their story at the Compassion with Fashion event. And they brought the house down. It’s clear to see how much little Jessi learned from her mom’s example of strength and compassion. Bravo to you, mom. Where there is bad, there is always much more good. Well done Humane Society and to all those who support the cause — thank you! 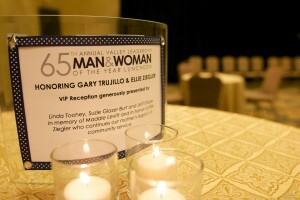 A Special thanks to Carla Brooks | Captured Memoir for providing photography for this blog. Interactive News Anchor. #3TV. Host of Politics Unplugged. #Writer, #Traveler, #Optimist. 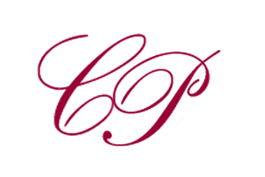 Lover of #fashion and #design. Creativity = Energy.